Please Note: 2006-2012 BMW E65 E66, F01, F04 750 owners should confirm transmission type GA6HP26Z (a.k.a. ZF 6HP-26) before ordering. The Highest Quality BMW Transmission Service Kits on The Market! Take comfort in knowing your BMW transmission is being serviced with premium OEM German parts and premium German RAVENOL transmission fluid. Everything you need for your transmission service in one convenient kit. 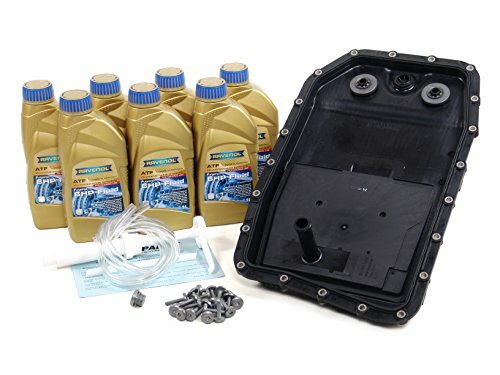 BLAU® BMW transmission fluid filter service kits include everything to perform your transmission service! If you have any questions about this product by Blau, contact us by completing and submitting the form below. If you are looking for a specif part number, please include it with your message.